You were born for a purpose and God gave you the capacity to fulfill that purpose. That life purpose and the abilities that have been bestowed upon you are what we can define as the potential that you have to fulfill your God-given assignment on earth. Great accomplishments usually begin with a simple idea that is acted upon with consistency and hard work. Ideas are like small seeds which you cannot tell how much they can produce. I once heard a business coach say, “You may be able to tell the number of seeds in an apple but you can never tell how many apples will come out of one seed.” That is how amazing an idea or seed can be. 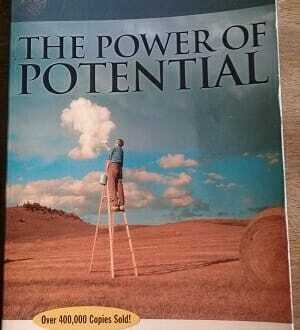 In the book, “The Power of Potential” Edwin Louis Cole shares biblical and powerful life changing principles to help you identify your ideas and develop them to their full potential. Edwin Louis Cole was a dynamic minister of christian men and the founder of the Christian Men’s Network that was established to disciple men to become like Christ. Through the inspiration of the Holy Spirit he started the ministry in his home and today it is transforming men’s lives all around the world. He could not have predicted the impact this ministry would have when he started but today it is making a difference. The same is true for you and me. The seed or ideas you have nurtured the right way will lead to an abundant harvest and change the lives of many people. Let us go through some of the principles in the book that you can learn from and begin to apply to your life right away. If you take a clean US$100 bill and put it in dirt, step on it or put it in water it will lose its nice appearance. Does that change its value however? The answer is no. No matter what happens to it outwardly its true value does not change. Nothing can take away its value. When life throws a series of curve balls your way and wears you out it doesn’t change the fact that God has put a valuable treasure in your life to make a difference in this world. Joseph in the book of Genesis is a good example of this principle. He had a dream of one day being a leader but went through years of hardship by being sold as a slave to being unfairly locked up in prison. Even though his experiences were meant for him God used them for good to develop his potential to govern the land of Egypt. Life will do similar things to you but you need to allow God to use those hardships to bring out your true value. This principle teaches us that faith attracts the positive and fear attracts the negative. 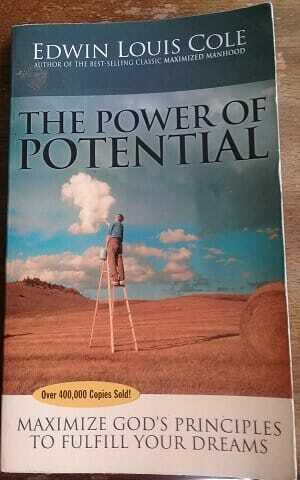 It is a key principle in developing your potential. The Bible tells us that faith comes by hearing and hearing comes by the word of God. Studying the word of God and declaring His promises over your life is how you develop the faith you need to see your potential realized. Fear on the other hand is not from God and comes straight from hell. When you begin to listen to other voices that are contrary to the word of God it creates fear and stunts your potential in the process. Fear is an illusion and not real. The devil messes with your thoughts in the hope of getting you off track so that you fail to develop your potential. One of the best ways you can strengthen your faith is saying affirmations daily that are in line with God’s promises. Sometimes it is not easy especially when what you see around you is contrary to what you are believing for. Have other people around you to encourage you in your faith because two are better than one after all. This is one of the most powerful principles from this book and is self-explanatory. What you do today and confess with your mouth (positive or negative) shapes your future. In the book of Deuteronomy in chapter 28 told the Israelites the outcomes of choosing obedience or disobedience to God’s Word. Accepting the responsibility for the outcome of your life is a major step towards realizing your potential and advancing God’s Kingdom in the process. God wants to bless you but the choice is in your hands whether you will accept His conditions to receive His blessings. His love is unconditional but His promises are. The words that come out of your mouth can attract the positive or negative. Proverbs 18:21 tells us that the tongue has the power of life and death. When you speak the Word of God into every situation you may face it changes it for good but if you speak negatively you attract bad things into your life. Just like diamonds are nothing more than pieces of coal put under intense pressure so are the great people we see in the world today. High pressure situations are opportunities to make you a hero and achieve great things. We see this with King David when Israel was under siege by Goliath and the Philistine army. He responded to a great need when the stakes were high and was given a handsome reward for defeating Goliath. That moment shaped the rest of his life as the nation looked up to him for leadership when they went to war. Proverbs 24:10 says, “If you faint in the day of adversity, your strength is small.” Pressure and adversity go hand-in-hand and so you need to be strong to get through the tough situations of your life. However, you need not rely on yourself but on God who gives you the strength to do all things. When you find yourself in high pressure situations allow God to use you so that He gets the glory. You learn more from failure than you do from success. The poor choices I have made in my life have taught me to be humble and seek the help of others to realize the potential God has put in my life. Being prideful and a lack of wisdom are some of the common things that lead to sorrow. Those lessons have a tendency to stick with you for the rest of your life and keep you grounded when you make future decisions. It is never a good thing to live in the sorrow of the past but what you can do is reflect on the lessons from those painful experiences and use them to make better choices. This book should be put in the hands of every man to learn these principles and begin to become all that God created them to be. If you have not read it get yourself a copy and get on it. Remember to share this review with your friends on social media and to share your thoughts in the comments below. Sija Mafu is an Online Enthusiast, Personal Development Fan, Global Business owner and a Master in The Art of Living. Also as a devout Christian, his vision is to see young people take responsibility for their lives and create bright futures for themselves, their families and society at large. Motivated2Inspire was born out of a passion to inspire and motivate YOU! to become the person you were created to be. We firmly believe that everyone was created to fulfill a specific purpose on earth and this website is designed to equip you to do just that. We would love to be a part of your journey to greatness and help you inspire other people to do the same.